The following is a press release from the Roman Catholic diocese of Lancaster. At noon on 28 July 2016, the Vatican announced the news that His Holiness Pope Francis has formally established a new Eparchy (Diocese) for the Syro-Malabar Catholic faithful in Great Britain and its first Eparch (Bishop) as Rev Fr Joseph (Benny Mathew) Srampickal – currently a priest of the Eparchy of Palai in Kerala, India and until now Vice-Rector of the College Propaganda Fide in Rome. The new Eparchy will have St Ignatius, Preston (St Alphonsa Parish), as its Cathedral Church. It is reported that the Holy Father Pope Francis, was happy to give this new diocese to Great Britain, because he knew there were so many Syro-Malabar faithful living in Britain and it is important for them to have the official support and structures of their Church. The new Diocese or in the Eastern tradition ‘Eparchy’ is one of only three dioceses of the Syro-Malabar Catholic Church outside of India, the others being in the United States (founded in 2011) and Australia (founded in 2014). 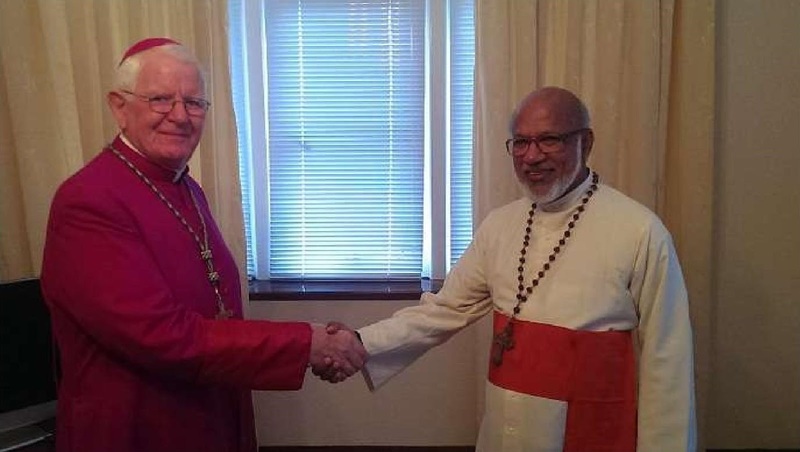 Upon hearing the news of this development whilst leading the Diocesan Pilgrimage to Lourdes, Bishop Michael Campbell of Lancaster said: "I welcome this exciting news and in particular Bishop Srampickal as the first Bishop of the Eparchy of the Syro-Malabars in Great Britain. I look forward to working with him as a close colleague and friend while he has care of his brothers and sisters throughout the whole country." Bishop Campbell added that the establishment of the new Eparchy is "a clear indication of the care of the Holy See for the thousands of Syro-Malabar Catholics who have settled in Great Britain. I congratulate the Major Archbishop, Cardinal George Alencherry, the Holy Synod and all the Syro-Malabar priests, religious and faithful living in Great Britain upon this development. I am particularly pleased that the seat of the new Eparchy will be the wonderful St Ignatius Church, Preston (St Alphonsa, Parish) given our close collaboration”. The Major Archbishop, Cardinal Alencherry with Bishop Campbell. These personal parishes – one is for Preston and is based at St Ignatius - were the first of their kind - for the Syro-Malabar Church - in Europe. In Preston over 250 people – many of them children, teenagers and young working professionals with their families - attend the current single Sunday Mass at St Ignatius with an additional scheduled Mass to follow shortly. The usual rounds of Baptisms, First Communions and Confirmations are now re-established in this vibrant parish. Recently, 9 family units have been formed as basic Christian communities to support prayer and faith formation in the family. The Keralan Sisters of the Congregation of the Mother of Carmel are now settling well and are involved in diocesan apostolates in Lancaster and also catechetical work in the Preston Syro-Malabar parish. Such a foundation is the first of its kind of Syro-Malabar Religious Sisters in Great Britain.